When emergency management workers from Washington travel to Hawaii to help respond to the Kilauea volcanic eruption, they also learn valuable lessons for Washington’s own volcano program. Brian Terbush, Washington Emergency Management Division’s volcano program coordinator, recently returned from a five-day stint in Hawaii, where he observed the erupting Kilauea volcano and spent time working in an Emergency Operations Center there. Terbush helps with preparedness activities for Washington’s volcano program. On Friday, Washington EMD’s Logistics Division also received a call for more help from the Hawaii Emergency Management Agency under the national Emergency Management Assistance Compact. A six-person support team, made up of employees from the state Department of Health and the state Department of Corrections, responded to that call for help. The Washington Incident Management team will conduct EOC operations to facilitate continuity of operations, planning and logistics at the Hawaii County Emergency Operations Center in Hilo for the eruption. The team heads to Hawaii today, reports to work on Wednesday, and is expected to travel home on July 11. Hawaii is paying for the endeavor. Both the DOC and DOH team members have experience in Type 3 events and incidents. Type 3 teams manage initial action, extended attack, or expanding incidents, sometimes until transitional teams can arrive or until completion of the incident. Washington state has responded in recent years to Emergency Management Assistance Compact requests for wildfires California, as well as hurricane threats along the East Coast. Terbush said he’d love to go back to Hawaii if the state needs his help again. While in Hawaii, he worked alongside staff from the Cascades Volcano Observatory who typically work in Vancouver, Wash.
All of this is happening as Washington state officials improve their own preparedness level for volcanoes. Washington state has five major volcanoes in the Cascade Range: Mount Baker, Glacier Peak, Mount Rainier, Mount St. Helens and Mount Adams. On Wednesday, Terbush will host a tabletop exercise at Camp Murray with local, state and federal jurisdictions to talk about what would happen if Mount Rainier were to erupt. “We’re going to make sure all of our standard operating procedures are synced up,” Terbush said, noting that the exercise is about ensuring that not just scientists and first responders are in the loop on eruption notices, but the public is, too. In October, a five-day, full-scale exercise is also planned in Whatcom County involving a hypothetical Mount Baker eruption. It will cover administrative decisions, search-and-rescue, responding to a lahar (a giant volcanic mudflow), and recovery planning. The exercise comes on the tails of a similar exercise last year that looked at cross-border communications between Canada and the United States. Terbush said if residents are worried about volcanoes in their own backyard, they should first know if their home is in the path of a potential lahar by contacting their local emergency management office or by looking up their Volcano Hazard Information Map on the state Department of Natural Resources’ website. 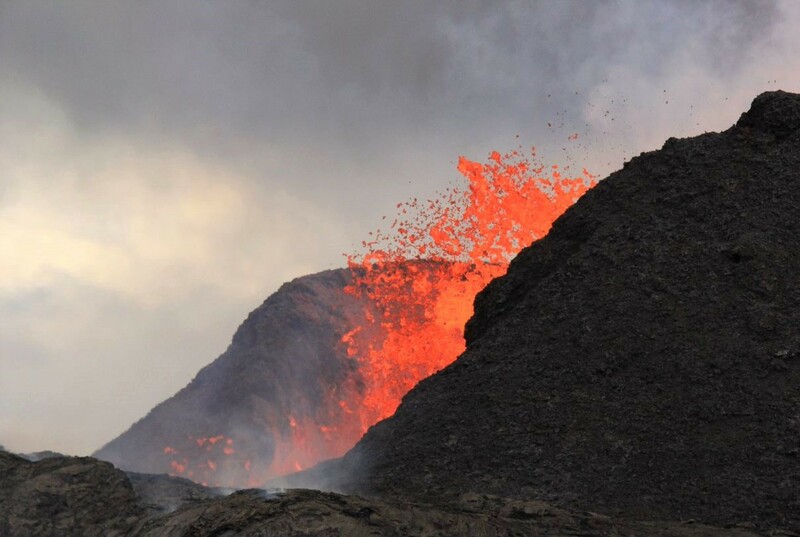 Residents can also sign up for notifications about their local volcanoes, courtesy of USGS. More information about preparedness and Washington’s volcanoes can be found at https://www.mil.wa.gov/volcano. 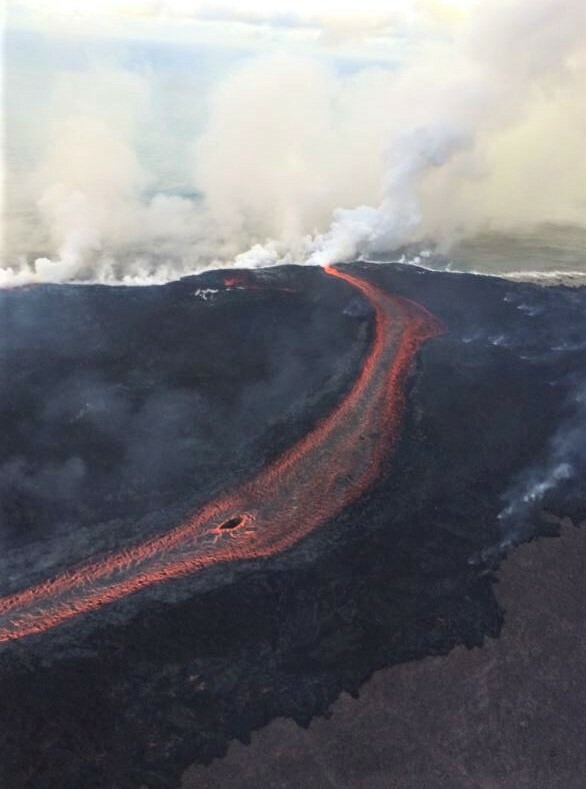 Follow live updates on Kilauea in Hawaii from USGS Volcanoes on Twitter.